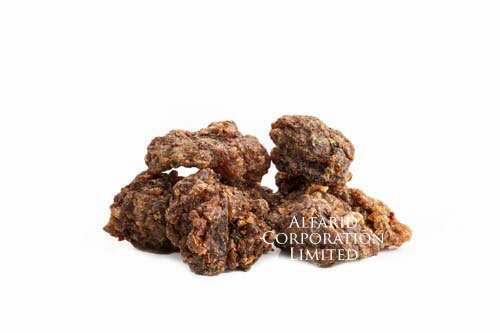 This is the purest form of Myrrh also locally called Ogadain originating in Somalia. It is available in larger format or irregular shaped lumps. The color of the gum ranges from a crystal crude yellow to dusky brown. The botanical names are Commiphora myrrha, Commiphora abyssinica and Commiphora schimperi. The taste is bitter, has strong incense aroma. It bears in earthy, oaky, moist scent with a sweet cinnamon like flare when burned. Active constituents are alcohol soluble resin, volatile oils, water-soluble gum & sterols. It helps to clear the upper respiratory tracts when burned. It is used in essential oils, fragrance, dermatology, naturopathy, aroma therapy and burning incense. This one is the pea size format of Gum Myrrh whereby the size ranges from that of seeds to the size of beads. The color of the gum ranges from a crystal crude yellow to a dusky brown. The origin is Somalia. Common names are Murr, Mir and Golden Frankincense. The botanical names are Commiphora myrrha, Commiphora abyssinica and Commiphora schimperi. The Commiphora myrrha tree is commonly found in the countries that make up the horn of Africa (Somalia, Eritrea, and Ethiopia). The taste is bitter, bears an oaky and earthy scent. It has alcohol soluble resin and volatile oils. 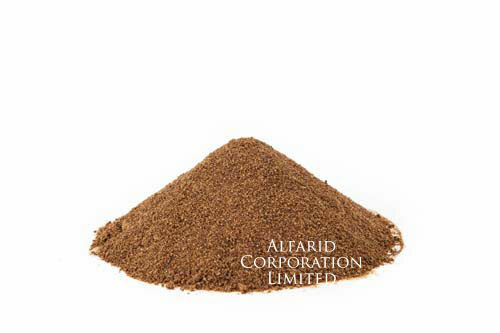 It is used as burning incense, in essential and carrier oils and fragrance industry. It can provide relief from skin conditions i.e. eczema, rashes. It has a yellow to brown hue, and is ground to a fine mesh. It originates in Somalia. 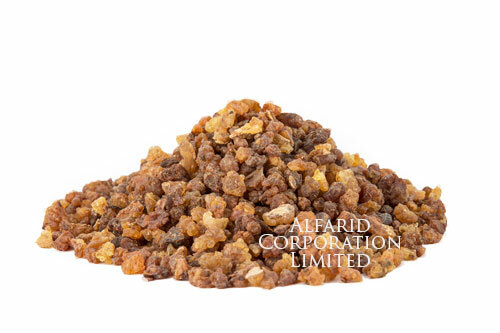 Common names are Myrrh; also known as Myrh, Myrhh, Myrha, Myrra, Murr, Mir or Gold Frankincense. Botanical names are Commiphora myrrha, Commiphora abyssinica and Commiphora schimperi. The taste is bitter and has strong and attractive fragrance. It bears an earthy, oaky, moist scent with a sweet cinnamon like flare when burned. Main constituents are Alcohol soluble resin, Volatile oils, Water-soluble gum & Sterols. Common uses are burning Incense, pharmaceuticals, naturopathy, dermatology, temples, mosques and churches as consecrated incense, air freshener, fragrance i.e. perfumes, cologne and ayurveda. These are random tears of Black Gum Myrrh. The color of the gum ranges from dark brown to black. It originates in Kenya. 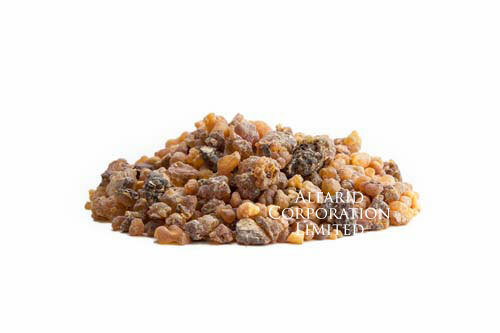 Common names are Myrrh; also known as Myrra, Murr, Mir or Golden Frankincense. Botanical names is Commiphora myrrha. Its fragrance is attractive. It bears an earthy and oaky scent when burned. It carries volatile oils. Common uses are in pharmaceutical and as burning incense. As an astringent, it provides pain relief when burned i.e. stress, headaches. It is dark myrrh resin and ground into fine mesh powder. The origin is Kenya and botanical name is Commiphora myrrha. Its main constituents are volatile oils and sterols. Helps to clear the upper respiratory tracts when burned. It is used in pharma, fragrance and ayurvedic medicine. It is a natural hygiene product (kills harmful bacteria). The color of the gum is various hues of yellow, and is hand selected, one by one, for premium grade Olbanum. It originates in Ethiopia. Common names are Frankincense, Oliban, Kadidlo, Gum Olibanum, Loban. Botanical name is Boswellia Carterii or Boswellia Papyrifera. The Boswellia Carterii is a part of the Burseraceae plant family, and can be found in East Africa (specifically Ethiopia and Somalia). The aroma of Frankincense (when burned) is very pine like, with a slight citrus hint more along the lines of lime or lemon, coupled with a honey-like sweetness. Its main constituents are resins, volatile oil, water soluble gum, bassorin. The resin is composed of Boswellic acid, as well as alibano resin. It is used as burning incense (orthodox diocese) and in pharmaceutical, fragrance, aromatherapy and naturopathy. The color of the gum is various hues of yellow, and the sizing is random. Origin is Ethiopia. Common names are encens, Aromatinė derva, Frankincense, Loban. Botanical name Boswellia Carterii. It has pine like, citrus smell when burned. The main constituents are volatile oil and bassorin. The resin is composed of Boswellic acid, as well as alibanoresin. It is used as incense gum, in ayurvedic medicine, essential oils, aroma therapy, fragrance. It can reduce inflammation and can be helpful in the healing of scars and cuts. It is a powder resin. 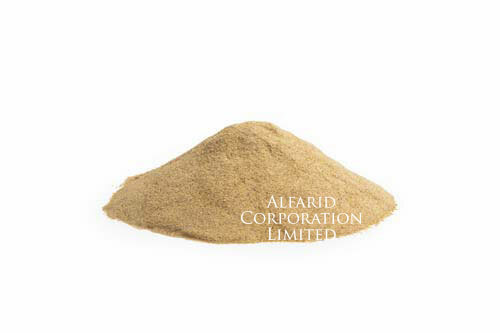 Olibanum resin is ground into a fine mesh powder. It has a shiny cream color. The origin is Ethiopia. Scientific name is Boswellia Carterii. 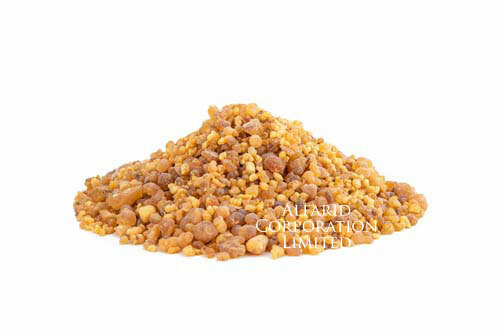 Common names are Frankincense powder, loban, Oliban, Kadidlo. When burned, it has citrus like smell coupled with a honey-like sweetness. It is composed of boswellin. It can improve the state of certain skin conditions i.e. eczema, rashes. It has uses in naturopathy, household cleaners and cosmetics. Black Olibanum is available in lumps or tears. The color of the gum is black with tiny scattered surfaces of dark orange. 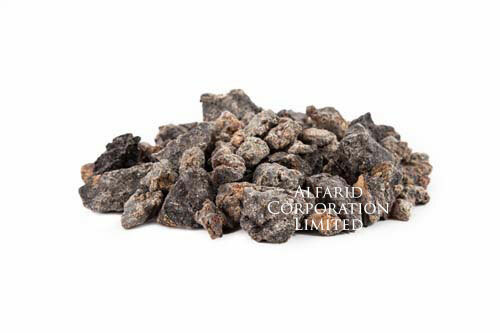 It is also known as Frankincense, Oliban, Kadidlo or Gum Olibanum, Loban. It belongs to Boswellia Carterii specie. The aroma is very pine like, with a slight citrus hint more along the lines of lime or lemon, coupled with a honey-like sweetness. It carries volatile oil, water soluble gum and bassorin. It is used as burning Incense, oral hygiene, household cleaners. It is used as natural hygiene product (kills harmful bacteria) and can reduce inflammation and pain. 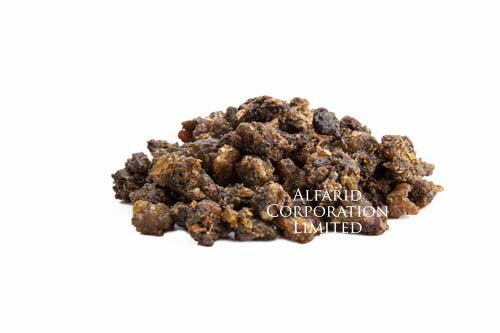 Black Olibanum resin is ground to form fine mesh powder. It belongs to Boswellia specie. The color of the powder is dark drown. It originates in Ethiopia. 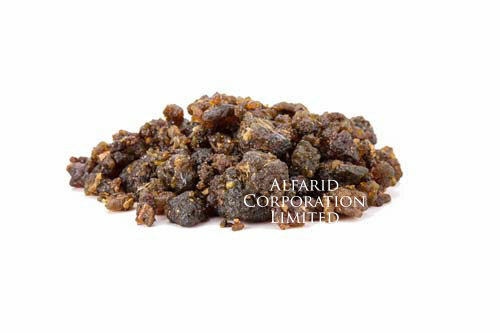 It is commonly called Frankincense powder, encens and Oliban. Scientic name is Boswellia Carterii. It carries Boswellic acid, as well as alibanoresin. It can be used in the healing of scars and cuts and can reduce inflammation and pain. It has uses in pharmaceutical, naturopathy and ayurvedic medicine. This product is collected from the Nagarparker region of Pakistan. It is considered to be the purest form of guggal resin. 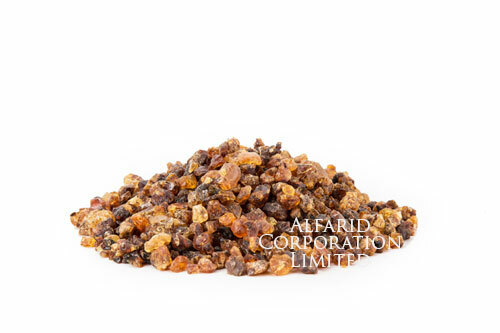 It is a luster orange, covered with a translucent black crude oil color, giving it a shiny brown finish.Common names are Gum Guggul, Guggulu, Commiphora Wightii, Gugal, Guggul, Indian Bdellium-tree or Mukul Myrrh tree. Botanical name is Commiphora Mukul. The Commiphora Mukul belongs to the Burseraceae plant family. The main constituents are Guggulipids, Guggulsterones E and Z and Glabredin. It is believed to stabilize blood sugar and also lower cholesterol. This product is collected from the Tharparker region (Sindh province) of Pakistan. 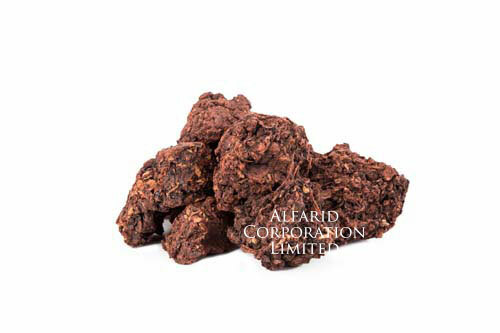 It is a pure resin, and has a dark brown appearance with scattered orange shade crystals. 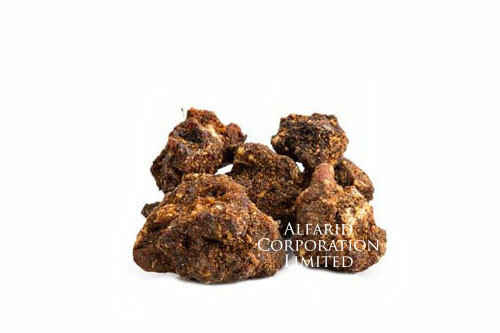 Common names are Gum Guggal, Commiphora Wightii, Gugal, Guggul, Indian Bdellium-tree or Mukul Myrrh tree. Botanical name is Commiphora Mukul. When burned, it has an earthy and moist smell. The main constituents are Guggulipids & Guggulsterones, Glabredin. It is used as burning and herbal incense. It has uses in naturopathy, pharmaceuticals and ayurvedic medicine. 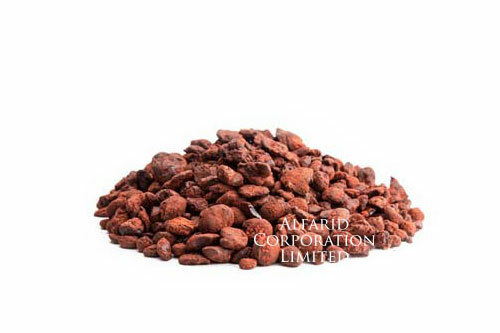 This is a regular grade of Gum Guggal in irregular resin format. It is black, brown with touches of orange. It originates in Pakistan. 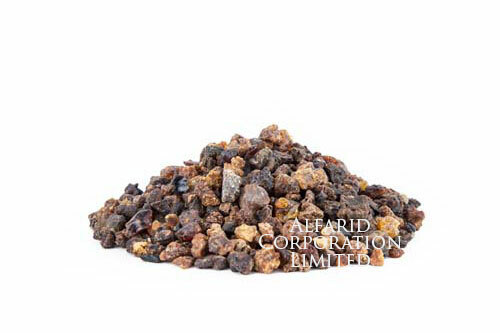 Common names are Commiphora Wightii, Shuddha guggulu, Guggul resin. 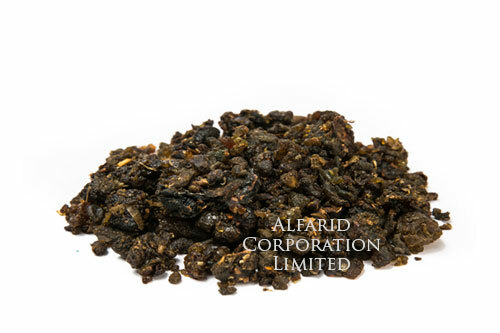 The botanical name is Commiphora Mukul and its main constituents are Guggulipids, Guggul sterones, Glabredin. It is used as a pharmaceutical ingreedient and can provide relief from skin conditions i.e. eczema, rashes. It also helps to clear respiratory tracts when burned and stabilizes blood sugar and lower cholesterol. It is a natural resin that oozes out of Damm al Akhwain tree trunks in the Socotra Island (an Island in Yemen). It is velvet red with random brown spots that bear a resemblance to dried blood. Botanical name is Daemonorops cinnabari. Main constituents are red resin (a.k.a Draconin) and benzoic acid. Common names are Daemonorops, Sangre de Draco or Dracaena Cinnabari. 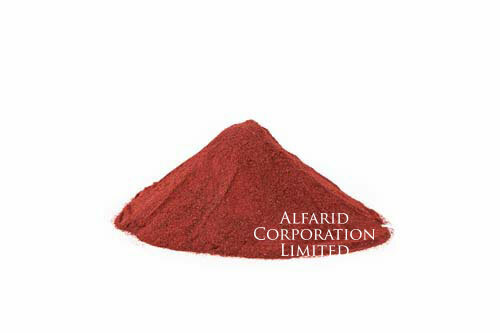 It is used as a pharmaceutical raw material, a herbal incense and in manufacturing dyes and varnish. It helps to stop bleeding and heal wounds and reduces symptoms of inflammation. It is also used for reinforcing the protective ink. This product is available in irregular lumps. It is dark red canvassed with patches of stony brown. It exudes from the Damm al Akhwain tree native to the Socotra Island off the coast, and belonging to Yemen. Commonly known as Daemonorops, Sangre de Draco or Dracaena Cinnabari while the botanical name is Daemonorops cinnabari. It constitutes draconin and benzoic acid. It helps to stop bleeding and heal wounds, reduces symptoms of inflammation. It can improve skin conditions and appearance of healthier skin. The product exudes from the Damm al Akhwain tree native to the Socotra Island off the coast, and belonging to Yemen. It is a luxurious bright red dragons blood resin, ground into a fine mesh. Common names are Daemonorops, Sangre de Draco or Dracaena Cinnabari. It carries Draconin and benzoic acid. It reduces symptoms of inflammation. It is used in pharmaceutical. The format of Gum Aloe is irregular lumps, and it is shiny black in appearance. It originates in Kenya. Botanical name is Aloe Barbadensis. The plant family it belongs to is Aloe, and is cultivated in every continent, primarily South-East Asia. 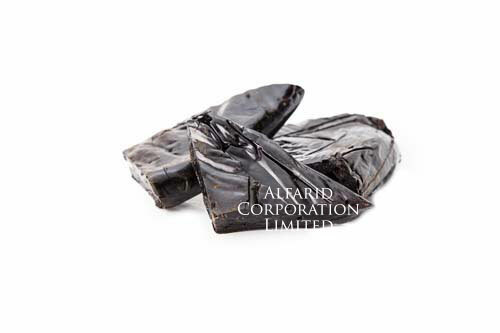 Gum Aloe is collected as irregular lumps and it is shiny black in appearance. The main constituents are Amino Acids, Anthraquinones, Enzymes, Hormones, Lignin, Minerals, Salicylic Acid, Saponins, Sterols, Sugars and Vitamins. It is used in pharmaceutical, cosmetics, dermatology and naturopathy. It promotes hair growth, kills bacteria, heals burns, scraps and cuts. It provides vital minerals to enrich skin and combats acne and other skin conditions i.e. rashes, sunburn. Gum Arabic is available in random tears and cuts. It has a dusty golden brown appearance. it originates in Kenya. Common names are Gum Acacia or Acacia Arabica. Botanical names are Acacia Senegal or Vachellia seyal. Main constituents are Arabinogalactan; a bipolymer consisting of arabinose and galactose. 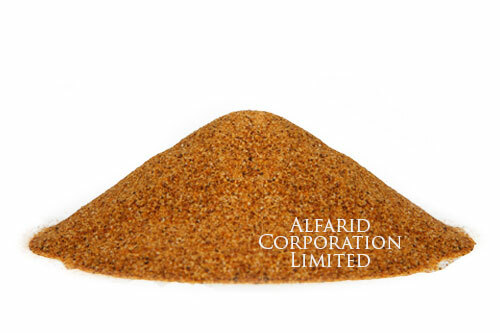 It is used in pharmaceutical, food Industry i.e. chewing gum, icing, manufacturing of adhesive and paint & ink and pyrotechnics. Black Gum Arabic is available in random tears and cuts. It ranges from dark brown to black in appearance. The origin is Kenya. Common names La gomme arabique, Guma Araibis, Gumiarábikum, Guma arabska, Sakız Arapça, Gum Acacia or Acacia Arabica. Botanical names are Acacia Senegal or Vachellia seyal. It constitutes Arabinogalactan; a bipolymer consisting of arabinose and galactose. It is used in pharma, adhesive manufacturing, chewing gum, paint and ink production. This resin has a golden brown appearance. The format of this product is irregular tears and lumps. Common names are Gum Opopanax, Opobalsam or Sweet Myrrh. Botanical names are Commiphora (Commiphora guidottii, Commiphora erythraea and C.Kataf). 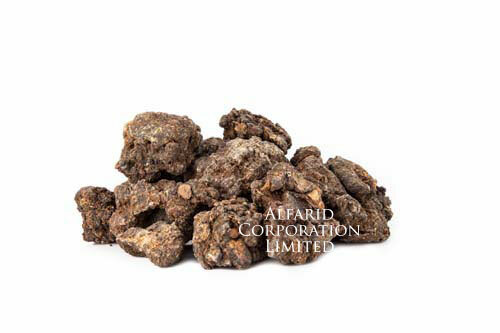 Gum Opopanax is obtained from the same species as myrrh. Specifically C.Erythraea and C. Kataf which are found primarily in East Africa. It is known to have a similar fragrance to myrrh when burned, but leaves behind a sweeter aroma akin to honey. 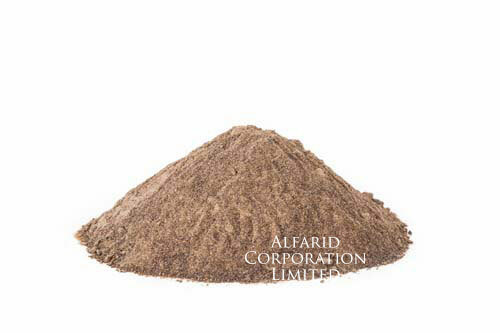 Main constituents are starch, wax, lignin, volatile oil, malic acid, and caoutchouc. It is used in fragrance and herbal incense.